Injuries are a huge source of lawsuits and headaches for health club owners. Avoiding liability can often feel like a high-pressure game of Pac-Man. So, what can owners do to decrease both risks inside the club and liabilities resulting from accidents and injuries? The first step is fully understanding your liability risks. Clubs are liable for everyone. Anyone who enters your facility presents a liability risk. 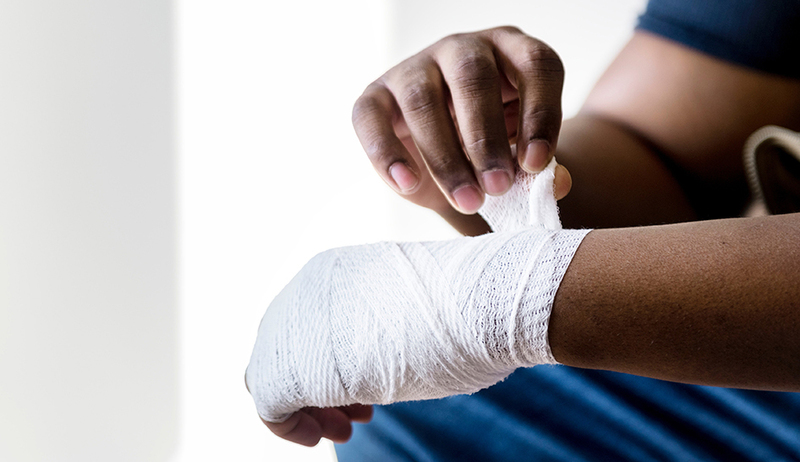 Even those injured by another member could result in legal liabilities. Equipment can be hazardous, especially if machines are not inspected regularly. Therefore, it’s important to monitor and check the functionality of your equipment to keep club members safe and decrease injury liability risks. How often equipment is inspected. Equipment should be regularly inspected and maintained according to the manufacturer’s instructions. Some malfunctions or broken equipment are not immediately apparent to the eye. Club staff should keep maintenance logs for all equipment and create a regular schedule for equipment inspections. Where and how the equipment is placed and positioned. For instance, take note of how much space is available between machines. If someone were to fall off a treadmill, where would they land? How you can minimize the chance of tripping hazards. Do all pieces of mobile equipment have obvious storage areas? Are these utilized regularly by patrons? If weights have appropriate locations, but are left on the floor by patrons, you could be liable for resulting injuries. How members use equipment. Improper equipment use is an obvious source of injury. Make staff members available to demonstrate proper use techniques. How often equipment is cleaned. Create and enforce a strict cleaning schedule, in which all equipment and training areas are sanitized regularly to decrease bacterial risks. To ensure regular cleanings, keep clear records of when all cleanings occurred. In at least five states, liability waivers are either prohibited or highly regulated. In those states where waivers are not prohibited, different states determine validity of waivers through different means. Whether or not the waiver is conspicuous and legible. Is the contract deceptive? The injured person’s awareness of the waiver itself. Lack of ambiguity. Is it easy for the average person to understand? Additional factors, such as inclusion of the word negligence. In short, although you should consult a lawyer if you choose to create a liability waiver, your members should not need to have a law degree to understand the waiver. Additionally, you should focus on reasonably expected risks inherent to a health club. Unforeseen risks unrelated to exercise, such as active shooter injuries, cannot reasonably fall under the scope of your liability waiver. There are other steps you can take to minimize your club’s liability risks. One way is creating a clear notification process among staff to identify and resolve any emerging or present dangers. For instance, wet floors should be addressed immediately, and you could post clear signage to convey the situation to members. Other potential hazards that courts describe as “open and obvious” risks—such as construction, slippery steps, parking lot hazards, etc.—should also be identified and clearly communicated to members. In some cases, the injured party may have partially contributed to the injury. For instance, if they did not disclose to their personal trainer that they were recovering from surgery. In these cases, courts sometimes find that the injured party demonstrated contributory negligence. However, this example also demonstrates why most clubs ask new clients to fill out a brief medical history to ensure they have a doctor’s permission to be working out. It is also valuable to refer the AED and CPR standards for your state to ensure you are in compliance, and ready for any potential emergency situation involving cardiac arrest. Injury liabilities are a costly risk that all health clubs should seek to minimize. This advice should not be seen as an alternative to legal advice. For even more information on minimizing liability risks, as well as specific information about writing waivers, see Injury Liability: An IHRSA Briefing Paper. What If a Member at My Gym Has an Eating Disorder? Concerned a member at your gym has an eating disorder? Read our legal expert's guidance before you act. There are 960 million people around the world over 60 years old who are interested in living their healthiest life. Here are seven ideas to keep your older membership active and engaged.